With so much going on leading up to Christmas, the holiday season can become a little stressful. 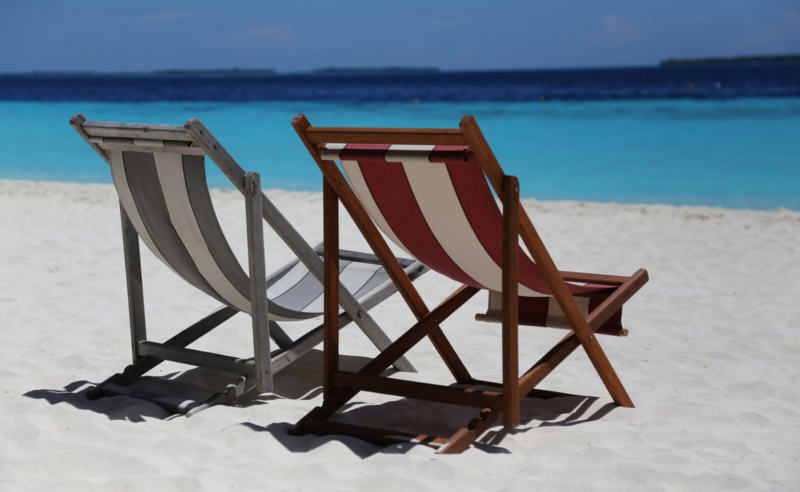 What better way could there be to help that anxiety melt away than enjoying a relaxing weekend trip to Pawleys Island? The Litchfield Company is here to help make it happen for you! And while you enjoy amazing food, golf and live entertainment, you can also fit in some shopping at a plethora of unique shops and boutiques around Pawleys Island and the rest of the Grand Strand. Here are some one-of-a-kind shops to discover unforgettable gifts for those special people on your Christmas list. We all know someone who could use a little relaxation in their lives and nothing says relaxing like resting in a hammock. 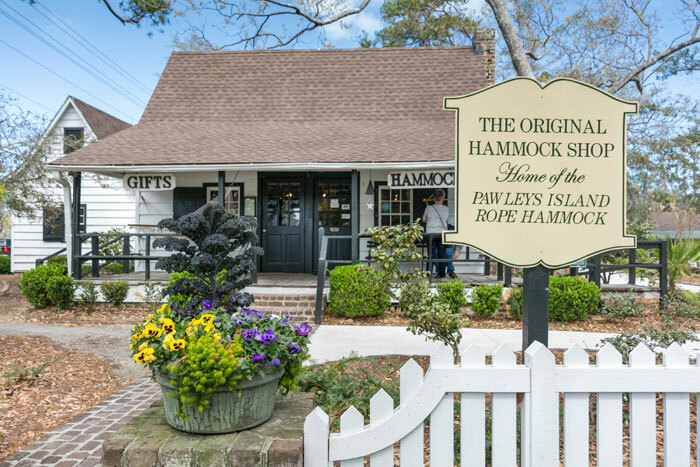 Situated in the heart of Pawleys Island at the Hammock Shops Village, the Original Hammock Shop has delighted scores of coastal Carolina guests and residents alike with handcrafted hammocks, perfect for enjoying a pleasant afternoon. Shoppers are able to see the process of how the hammocks are hand-woven right in the store. The Original Hammock Shop also features a full assortment of accessories like pillows, stands, tree straps, drink holders and more. With two locations along the Grand Strand, you’re never too far away from the unique assortment of gifts and souvenirs available at Klig’s Kites. It’s probably easier to list what you won’t find at Klig’s Kites than what you will, but here’s a quick sampling: magic tricks and paraphernalia, shirts, home, boat and garden flags, toys and gag gifts, car decals and lots of collegiate and professional sports memorabilia. Oh, and yes, they do also showcase a giant assortment of professional quality kites that will fit in any budget. Whether you need some fake vomit for a gag gift or are looking for a heartfelt present for your favorite relative, you’re sure to find something unique at Klig’s Kites. Visit them at either their Broadway at the Beach location in Myrtle Beach or in North Myrtle Beach along Kings Highway. Conveniently located at Broadway at the Beach and the Market Common in Myrtle Beach, the Southern Living store is filled with a treasure trove of Dixie-riffic gift options. Old or young, male or female, even southern or northern, no matter who you’re shopping for there’s sure to be a unique and thoughtful choice for that special someone. A great selection of dress and casual fashion accessories, jewelry and attire by top brands like Southern Fried Cotton will delight those fashion-conscious ones on your list. A plethora of home and garden decor including candles, lamps, planters and wall art makes for a great choice to help tie a room together or provide a one-of-a-kind conversation piece. No matter where you’re from, a quaint country gift from the Southern Living store is guaranteed to be a fantastic choice! Now that you’ve got a few great shops to peruse, if you haven’t booked your Christmas vacation to Pawleys Island there’s no time like today to make it happen! And with the amazing specials available with the Litchfield Company you can reserve an amazing Pawleys Island condo at resorts like Litchfield Beach and Golf, True Blue Resort or Pawleys Plantation Resort. You can even enjoy our Brookgreen Gardens special to get free admission tickets to Nights of a Thousand Candles included with your stay. With that and all the great shopping you can enjoy, make plans for your Christmas vacation to Pawleys Island today!